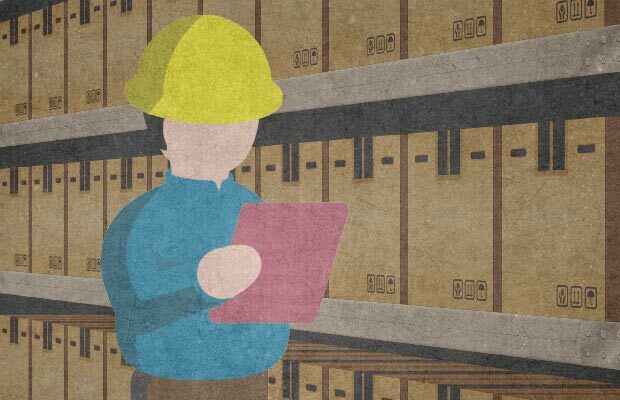 Inventory control is one of the most important requirements for manufacturers and distributors, especially in a changing landscape where pen and paper record keeping has become obsolete as we all respond to digital transformation. Businesses today should fully utilize the technology solutions available that can help them compete, grow, and thrive well into the future. 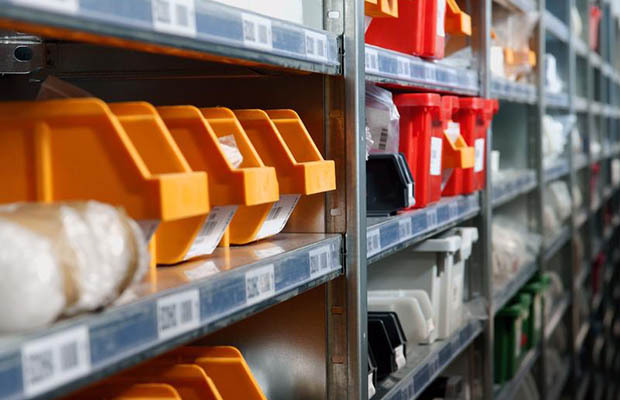 Having a firm understanding of product inventory requires businesses to keep an inventory management toolkit up-to-date, which can help significantly speed the fulfillment process, lower costs and prevent fraud. For example, an overstocked inventory is not only time and cost inefficient, but overstocking also takes up precious warehouse space that could be utilized to store products in higher demand. On the other hand, losing a sale due to lack of inventory required to fill orders could lead to poor customer service and drive customers to competitors. Maintaining the right inventory balance in the warehouses is essential to the bottom-line, and understanding the landscape of an enterprise resource planning (ERP) solution to maintain better inventory control is critical. Here are seven key ERP software applications manufacturers and distributors should consider in order to ensure successful inventory management. When changes to an inventory occur, it affects a number of supply chain players including the supplier, distributor, manufacturer and customer. Workflow alerts automatically send emails, texts or push notifications when unexpected changes to the inventory occur. In the past, issues such as late purchasing orders, delayed merchandise, incorrect receiving quantity and back orders were not discovered until stock reports and inventory control was manually completed, which could take days. Real-time, automatic alerts allow workers to stay on top of issues, speed up the resolution and maintain positive customer service. Inventory forecasting is a crucial part of a business’s budgetary planning. Forecasting tools use historical sales data to intelligently predict future performance, which can be used to assess demand levels so inventory can be managed accordingly. These forecasting reports help ensure adequate resources are included in inventory. By using data algorithms and formulas, trends and patterns of sales can be tracked with impeccable accuracy. Most forecasting tools serve as a foundation for this information, and allows users to manually add data based on information a computer wouldn’t recognize, such as new products or customers. Suggested purchasing systems are a key tool in helping businesses reduce inventory and increase sales. This tool considers inventory forecasts and automates the buying process based on supply and demand for particular items. Automated purchasing generates purchase order quantities efficiently and economically, while ensuring it meets vendor requirements. Typically, these solutions optimize ordering to push order quantities up to earn prepaid freights, hit vendor minimums or cube out a full shipping container, all while honoring pack sizes. Many suggested purchasing applications also have the ability to consider multiple warehouses in the distribution network and check for overstocked items to facilitate stock transfers before buyers place orders with the vendor, saving significant costs. Managing sufficient material levels is one of the most time-consuming aspects of manufacturing. Material requirements planning (MRP) solutions speed up workflow by assessing the need of components for all products being manufactured to ensure materials are available for production at the right time. Many MRP applications can also analyze sales orders, production orders, purchase orders, current inventory levels and sales forecasts. This allows manufacturers to analyze current and future material and distribution requirements for more efficient, cost-effective planning. Importing goods from overseas offers several challenges, such as providing accurate delivery time across time zones and tracking exactly where goods are in the transfer process. As the name suggests, cargo tracking tools collects all imports into one database, where it is possible to track the time of departure, the exact location of the goods and estimated time of arrival. For example, a vendor may put multiple purchasing orders in one shipment but not communicate that to the customer. This could lead to confusion if the customer is expecting multiple deliveries, instead of one. Cargo tracking allows buyers to understand both scheduling and quantities, providing the highest customer service level of tracking. Buyers can track estimated time of departure and arrival, down to the date and time. Similarly to cargo tracking, landed costs tools help manage overseas shipments. When importing goods, customers must take into account the duty, freight, inspection, and insurance costs when placing an order. Landed costs applications apply these costs to the initial billing so when merchandise is received, the unit cost includes the additional charges, which helps determine accurate gross profit. Analytics tools provide a number of benefits for anyone managing an inventory. Analyzing processes is the best way to identify what is working most efficiently, and areas to improve on. For example, analytics tools can create fill rate reports that identify if customer orders are filled and at what rate. This information will help keep manufacturers on track and provides insight if fill rates aren’t where they should be. These reports will also allow for analyzing fill rates from vendors to assess how they are fulfilling requirements for your needs. Gross margin return on inventory investment (GMROII) reporting is another analytics tool that shows profitability against turns of inventory. For example, profitable products may not sell as quickly as smaller, less profitable items. These reports ensure that inventory is on track to sell in order to make a profit. Analytics dashboards show current stock and the status of inventory. This provides a quick, real-time view of items that are in stock or out of stock. This tool can be used as a scorecard for insight into how well customers are serviced and justify performance to these customers. This type of analytics tool is an effective way to convey value. Warehouse management tools are designed to enhance productivity and improve overall efficiency. While there are many functions of a warehouse management system, there are key features targeted at improving inventory management. For example, warehouse management tools have the capability to easily locate products in a warehouse. When received, products are scanned and assigned to a bin, where the information is then sent to warehouse management systems. Picking and shipping errors tend to occur when similar items are stored in close proximity. These errors are costly, as an additional product will need to be shipped to correct the mistake. However, scanning the products allows for an additional level of verification and reduces overall picking and shipping errors. Mobile proof of delivery applications allow for real-time alerts for the customer and the distributor/manufacturer along the delivery route, as well as when the product arrives at its final destination. In addition to the real-time alert, the deliverer can take a picture of the delivery to confirm its arrival. Having this technology on a mobile device eliminates the need for additional scanning and tracking devices, saving time, and increasing productivity. The ability to take a picture of a delivered product relieves the common pain point for companies to prove with 100 percent certainty that a product was delivered. If a product was delivered to a wrong address or delivery wasn’t coordinated on time, it could easily lead to profit loss from having to ship a new product, affecting inventory numbers and possibly the loss of customer trust and service. Mobile proof of delivery is essential in managing delivery accuracy. Inventory management is a critical function of manufacturing and distribution, but it doesn’t have to be time-consuming. Available tools and emerging technology are making inventory management more efficient and cost-effective than ever before. In addition to helping optimize inventory management, these tools also allow for greater accuracy so inventory control can be streamlined and precise. Joe Scioscia is VP of Sales at VAI.